Nissan commercial vans sold under the Fuso brand in export markets. Dr. Wolfgang Bernhard, Member of the Board of Management of Daimler AG responsible for Daimler Trucks & Buses. 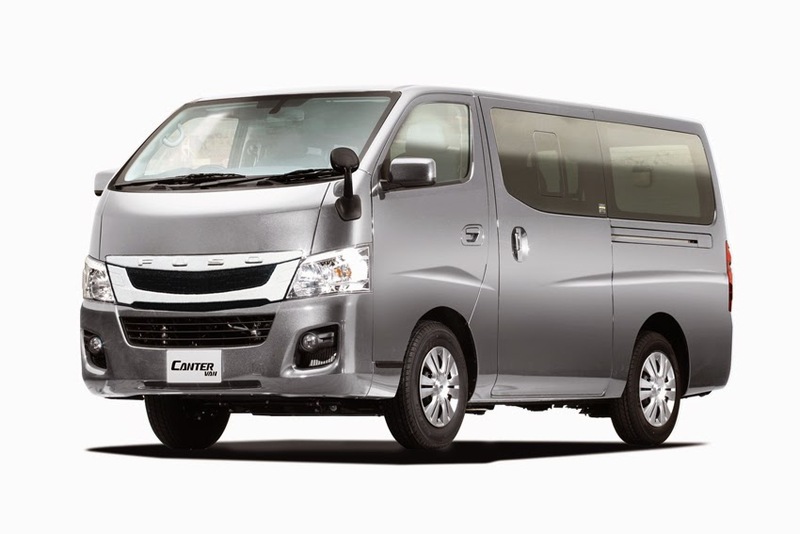 Under the contract, Nissan will supply its NV350 Urvan (GVW: 3.5 tons) commercial van to be sold by MFTBC as 'Fuso Canter Van' in the Middle East starting in 2014. Dr. Albert Kirchmann, MFTBC President & CEO, added, "With the new Fuso Canter Van, we will be able to address new customer segments in the Middle East where we already have an established network. It is the first time in the Fuso history that we offer a commercial van, and I am convinced that our customers will appreciate the wider choice." This final contract comes after the two companies' signing of a basic agreement in September 2013, and is based on the strategic partnership between Daimler AG and Renault-Nissan Alliance announced on April 7, 2010.